You are right, the context is missing from the circle. 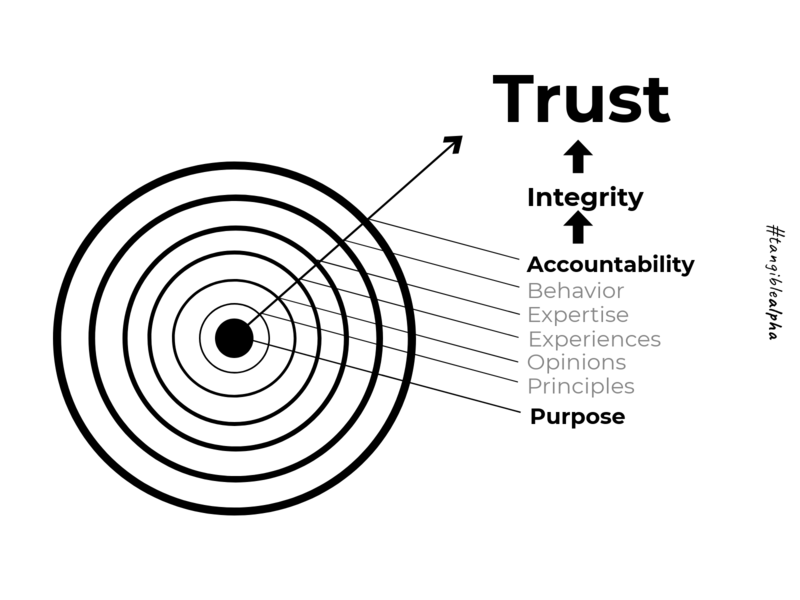 The idea is; if any of the components from purpose to behavior is misaligned, accountability suffers and with it, integrity... and ultimately trust. It feels like there is a new way to give and receive digital feedback every day. In order to gather the metrics that move your business you must be able to ask great questions and get honest responses. Your clients must give you honest feedback to become trusted partners… you need trusted partners as clients to survive and thrive in a robo world. To cultivate trust in a digitally transparent world, simply follow the Infinite Advisor Alpha Progression.